Not so long ago I reviewed my first ukulele from Verona based and Milan trained luthier Marco Todeschini, and what an utterly superb musical instrument it was. This week we look at another of his, the frankly bonkers but striking looking UFOS Tenor from Antica Ukuleleria. That first Antica Ukueleria ukulele was a more traditional looking model in the form of the acoustic Moderno Tenor. It showed me quite clearly what an extremely talented builder Marco is. 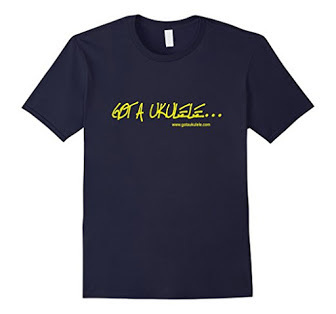 However, it was actually this UFOS model (note the 'S' - it stands for 'Ukuleles From Outer Space' - it's not a UFO) that first caught my eye some years ago now. In fact, these models go back to 2012 when he first put a prototype out. Since then he has been refining it over the years, and it took until now for us to fix up a review slot. The concept of the UFOS goes back to Marco wanting to create a 'sci-fi' themed instrument that fitted with the passion he had before uke building of being an cartoonist. 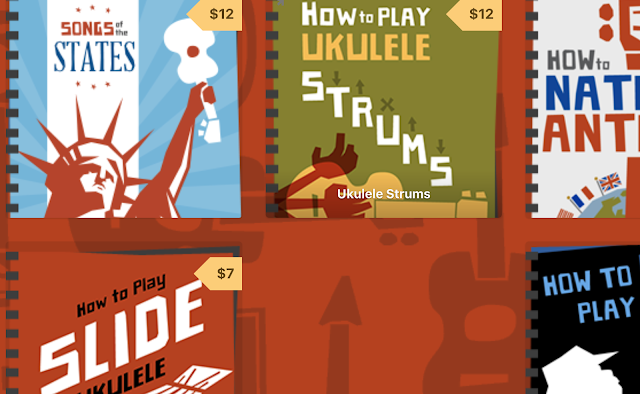 His focus was to draw rockets, space themed items and sci-fi themes, so it made sense to try to get that concept into a ukulele. And it's certainly unlike anything I have seen on this planet! First up, the body shape is totally unique, yet still harks back to a standard ukulele in many ways. I suppose you could say it still has an upper and lower bout with a waist, but they are shaped in a very different way. Imagine a large circle or oval with chunks taken out of the sides is the best way I can describe it. The main core of the body shape is CNC routed from mahogany (although he also makes them from maple and is considering one in cedar). The CNC cutting allows him to get that distinctive shape as well cutting out the hidden slots below the face for the electronics, the facing plates and the chambers to cut the weight. But that's not to say this is a machine built uke. He only does that here because it would be incredibly labour intensive to get this shape and the routing by hand. It's then sanded glass smooth by hand ready for the other fitments. The back is completely flat and simple though has a wonderful stripe to it. If you opt for the optional tone controls you will get an access plate here to get to the wiring and the pots. Dropped into the top chamber is a 'top' made of laser cut, matte black plexiglass holding what I suppose you could call a 'sound hole' which is another decorative nod to a traditional uke. It's not really a top in the normal sense though and neither is that a sound hole as the body is otherwise solid all the way through. The black top is also bevelled on the edges meaning that whilst it sits within the mahogany body, you don't get a sharp edge on the fingers. A nice touch. Added to this are more details, which in the examples here are made from flourescent clear plexiglass in either blue, red or green. They really set it off I think. This type of plexiglass also has another hidden feature that if you put it under UV light it glows as if there are lights inside the uke. Imagine that on a stage with a UV strip! These details decorate the upper and lower bouts together with another ring around the 'sound hole'. Whilst these are brightly coloured options, he also offers these details using natural woods if you don't want the flashy look. Come on though, why would you? 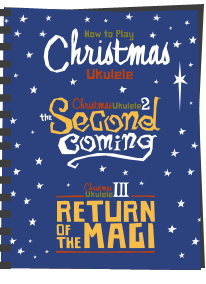 If you are buying a ukulele shaped like this you are wanting to make a statement! Go bold I say! The bridge is also highly unusual in that it is made from a routed clear block of plexiglass holding an Artec piezo passive pickup strip (which you can see through the glass). This is then topped with more of the matte black plexiglass. That is then hex bolted together and fitted with a Corian saddle. It looks wild, but is extremely neat and tidy. It's a slotted bridge style so the string changes are easy and just looks right on strange looking uke like this. In fact I don't see how you would make a tie bar, or certainly not a through body option. The wooden parts of the body are then finished in a Tru Oil coat which gives it a very nice finish with absolutely no rough patches. The finishing is superb. The neck is similarly unusual. VERY unusual in fact. It's a hand carved mahogany neck with a Blackwood Tek core running the whole length - the same material he used for the fingerboard on his Moderno. It's a chemically ebonised Pine, that is incredibly hard and smooth as well as being jet black and completely smooth. That runs the full length of the neck and is more than just a 'skunk stripe'. It's also what connects the neck to the body and the headstock, but more on that below. Topping this is a Blackwood Tek fingerboard which is just as well finished and smooth as on the Moderno. This one has a slight radius, but that is an option in the purchasing process. It has 14 nickel silver frets which stop at the body and you get outward facing small (classy) white ABS dots at the 5th, 7th, 10th and 12th. Thankfully, these are also on the side. The profile is a D shape and very flat on the back as a result of that core. I really rather like it and it is extremely comfortable. The nut is a reasonable, but not wide 36mm, but that is fine for me on a tenor with a shallow profile like this one. Beyond the Corian nut we have a simple but effective shaped headstock in a kind of stretched oval, but what's unusual is that it isn't attached to the neck as a natural extension to the neck wood as you would expect with a traditional ukulele. Instead, that Blackwood Tek neck core extends up above the end of the neck and the headstock is then attached to that extension. I've never seen anything like it but like it very much and it gives the headstock an appearance of floating away from the neck, or being hinged. At the point the neck 'stops' and the core continues you get a nicely curved top of the fretboard above the nut then the narrower extension of the Blackwood Tek going into the head. I really like it and in case you are wondering it's extremely sturdy. The headstock is similarly routed out like the body with a face of more of the black plexiglass dropped in. Into this the Antica Ukuleleria logo is cut out of the plastic showing off the wood behind. The tuners are unbranded chrome gears with black buttons. They look very much like Grovers, but don't say so, so they won't be. What they do appear to be though is of similar quality. Well pressed metal and nothing looking thin or cheap. The package competes with Seaguar Blue Label fishing line (Marco is a man after my own heart! ), and of course the output jack for the pickup in the base and a neck strap button. The UFOS also comes in both bass and concert scales too (for either a bit more or a bit less cost), but it this standard spec tenor would cost you €380. That is really not a lot of money for a hand made electric tenor I must say, particularly one with this amount of detailing and clever features. Lets put that in perspective.. The cool looking, but still very plain Fluke SB solid electro would cost you a fair bit more. Let's have a play though. Being a solid instrument, it certainly feels heavier than a thin topped acoustic would at this scale, but that isn't to say it's cumbersome. What I am really struggling to put into words though is just how extremely well this has been put together and finished. Every joint, every edge, every surface is neat and precise. The way the black top and headstock face sit within a small lip routed into the wood is just delightful. Nothing feels just 'stuck on' or clumsy. It's really oustanding in all areas. 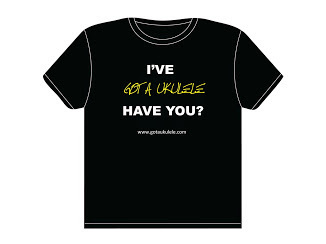 Setup and playability too are really good and it's a very comfortable 'just one more go' type ukulele to play. Yes, the looks are wacky (but distinctive) and I know full well some readers will not warm to it. But I like 'different' and it's certainly that. I personally adore it. Before I get into the sound I have to make something clear as is always the case with solid electro's. By their very nature they are not sweet sounding acoustic tones, where tone woods shine through and bracing patterns creating voicings. That would be impossible. They are pieces of wood with strings and a pickup. When I have reviewed them before, somebody always pops up and says 'doesn't sound as good as my Kamaka' or similar - which is just a silly comparison. So my comments below are judging it on what it is actually up against - other solid bodied electro ukuleles. Another tough part of reviewing solid electros is that they are always hard to get across in a video review because they rely on the quality of the amplifier, then the quality of a microphone recording the amplifier, and then the usual 'messing around' that YouTube does with compression and normalisation to make the videos work well on multiple devices. As such, it's very hard to give a true representation of the straight up clean tones that I can hear myself with my ears. The video below shows it being played through a (very decent) Yamaha THR amp on both acoustic settings with flat EQ, but also with some effects and overdrive. Ultimately though, with a solid electric you are only really bound by your own imagination and gear set up. What a reveiew has to determine is whether they perform like cheapies such as the Epiphone Les Paul ukulele or the Vorsons or Eleukes. In other words whether or not they sound dead or muddy, have cheap pickups or have unbalanced volume (a feat very cleverly pulled off by both Epiphone and Eleuke in every department!!). With clean and flat EQ I will say is this sounds typically 'piezo', and Marco recommends pushing this through an off uke Pre Amp / EQ pedal or box to allow you to shape the sound before the amp. I'd totally agree with that, but that doesn't suggest a critisism of the ukulele itself, rather an observation that most piezo pickups benefit from a touch of EQ, particularly cutting the mids to make them sound the best. I own a luthier built solid electro tenor made by Rob Collins (which, incidentally, uses the same pickup as the UFOS) and that needs a bit of EQ to get the best out it, as does the Risa Uke Solid. What I can say though is that the sound here is still nice and clean (no muddiness), balanced in volume, and just plain decent without any meddling when plugged straight into an amplifier. The build of the uke is helping of course, and a combination of that solid body with the Blackwood Tek rod through the neck is, I suspect, helping with sustain. Added to which, Marco didn't choose an ultra cheap pickup strip and fitted it well, leaving it on a par with the best solid, nylon strung electro ukes I have tested. But of course, with a ukulele this far out looking, it just screams for you to play around with effects, overdrive, delays, phasers, tremolo, wah wah, you name it. How big is your pedal board? I'd point out here that with the cheaper nylon strung solid elctros things can get woefully muddy here too and can get lost when driven too much. (It's really steel strings and magnetic pickups that do best with effects). 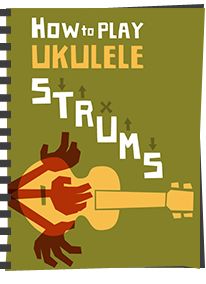 But as anyone who has seen video of Jake or James Hill playing overdrive on nylon strung ukes will know, it can be done if the ukulele is well made. The UFOS doesn't let me down here and is enormous fun with the effects I have thrown at it. It makes for an instrument that would be a hoot to strut on stage with and really get wacky. T Rex anyone? Naturally it's also helped by the playability as that neck is extremely comfortable and the setup and intonation are also spot on. No, it's not a sweet acoustic tone, but why would it be? 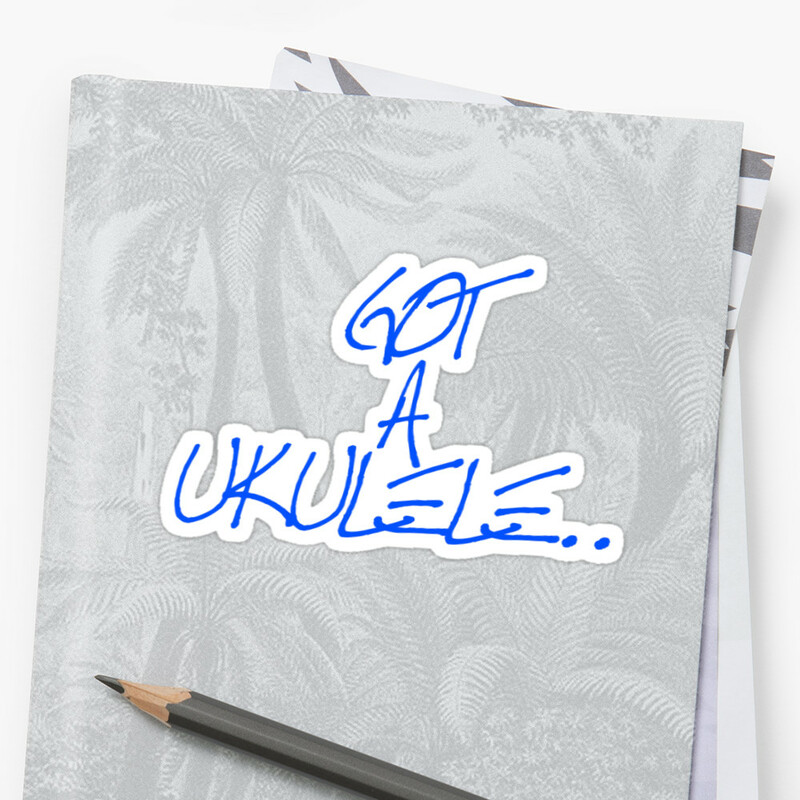 It's not an acoustic ukulele. Saying that though, it's very pleasant to play without any trickery. 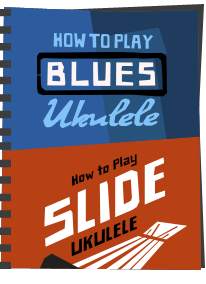 And of course, it's also pretty much silent when you are not plugged in so makes for a terrific practice uke for hotels or late night play. There is another advantage too of course, and that's because solid bodies are lacking a soundhole, they are much more resistant to feedback when cranked up. I have played a solid body tenor on stage and can confirm that to be true. While you can get them to howl with enough power, they are much more manageable on stage than an acoustic with an open sound chamber. That's the case here. All in all, the build quality doesn't surprise me because the other example I saw from Marco was exemplary in that regard. The juxtaposition between a model like this compared to some of his more traditional stuff shows me how talented and imaginative he is. And of course, it WORKS really well for what it's designed for. If you have the cahones to pull off the looks and are looking for a solid electric to rock out with, whether you are looking at the Flea Solid, or the Risa Stick, you really, REALLY should see if you can put the pennies towards one of these as an alternative. Superb, and highly recommended. I want one! I want that 10yrs ago!! When I was in a band!! You can tell the potential when you play it flat EQ, punch with clarity, Wow! !